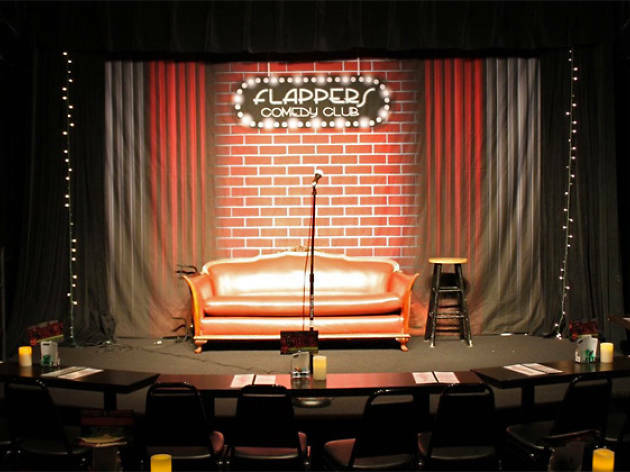 In this converted Macaroni Grill in beautiful downtown Burbank, you can stop in at about any time of night, any day of the week (save for Mondays), and see comics at all levels: From celebrities (Greg Proops, Brad Garett, Harland Williams), to features and beginners. Unlike most clubs, parking is simple and free, and in a complex right next door. There are multiple shows going on in the different rooms, and the waitstaff is friendly and efficient. 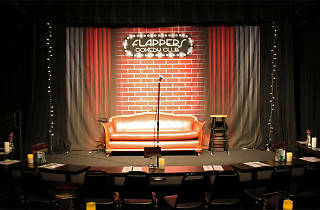 Because it’s a former corporate chain restaurant, Flappers is spacious, and the 1920s ambience brings its own special vibe conducive to watching comedy. Dinner & Show packages start at 6 pm. The menu features classic Americana cuisine: from salmon and rib eye to burgers and wood-fired pizzas. Shows Tuesday-Sunday between 6pm-midnight. Happy Hour auditions on Weds & Thurs from 5-7pm.